We work closely with all of our clients to ensure all of their needs are met and every question has been answered! Our professional team takes care of you every step of the way. Closed Cell Spray Foam averages a 5 year return on investment with savings from 20%-50% on energy and heating. Precision Applications offers a price match guarantee. We will match any competitor written quote. This offer is only valid within the state of NH. If you’re looking for a spray foam insulation contractor, or just need help reducing your electricity and heating bills, look no further than Precision Applications. Simply put, foam insulation is the best way to keep your home cooler in the summer, warmer in the winter, reduce electricity expenditures and harmful allergens in your home. 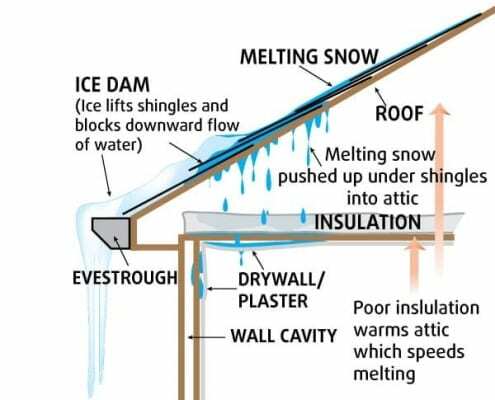 We offer attic insulation and wall insulation services for homes and businesses, which is perfect for you entire building, garage, or other living space. Precision Applications is New Hampshire’s Top Foam Insulation Service! We work hard to find customized and high quality spray insulation solutions for every client. Additionally, we offer our potential clients a 24 hour estimate guarantee: From the moment we step foot onto your job site, we will have a written estimate in your hands within 24 hours. Period. Very professional. Arrived on time and finished on time. Came one day early to set up with plastic wrap and to preheat the cold room. I would recommend Precision Applications to anyone looking for spray foam insulation. Great job....great price. Hard working professionals with an attention to detail. I have used three other spray foam companies and these guys are now the only ones I use. I never write reviews but am so impressed I took the time. Keep up the good work. We Offer a 24 Hour Estimate Guarantee! Contact us here to receive your free estimate!